Anyone who’s ever been in one of the 350 + IKEAs in the world, has experienced a tiny slice of Sweden. In the stores, one thing that reflects Swedish and Scandinavian culture is the name of the thousands of products. What many people don’t know is that there are strict rules for the naming of the merchandise. Fascinatingly, these rules were devised by IKEA’s founder Ingvar Kamprad because he struggled with dyslexia and had trouble remembering the order of numbers in item codes of the inventory. There are some exceptions to these rules where the product’s name is a Swedish verb reflecting the function of the item, eg a spice mill called ‘krossa’ (to crush) or a lamp called ‘böja’ (to bend). 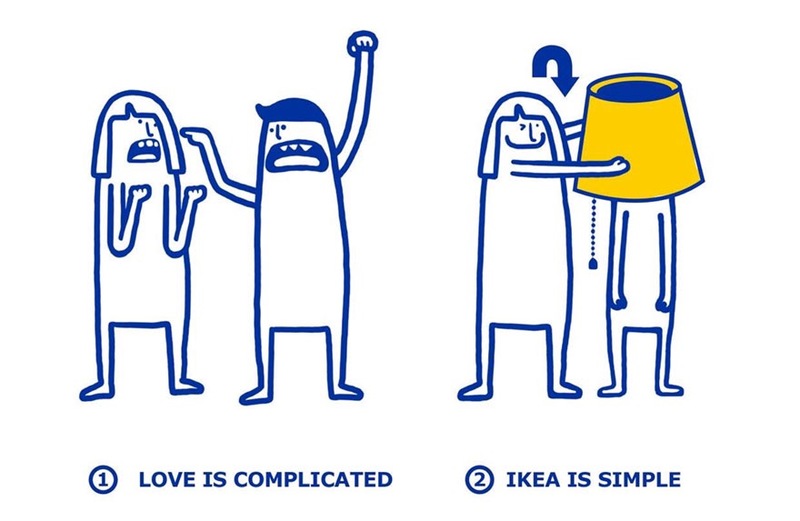 Obviously, IKEA’s branders try to vet any words that are offensive locally. And with a few notable exceptions, they seem to succeed. More about this in a later blog. Next Post So, what is wrong with the Swedes?